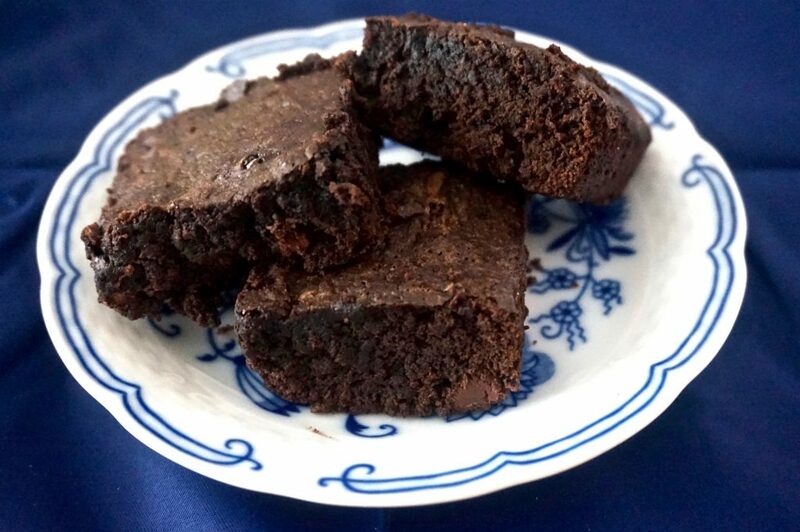 Recently I’ve been experimenting with adding local products and ingredients in my baking. 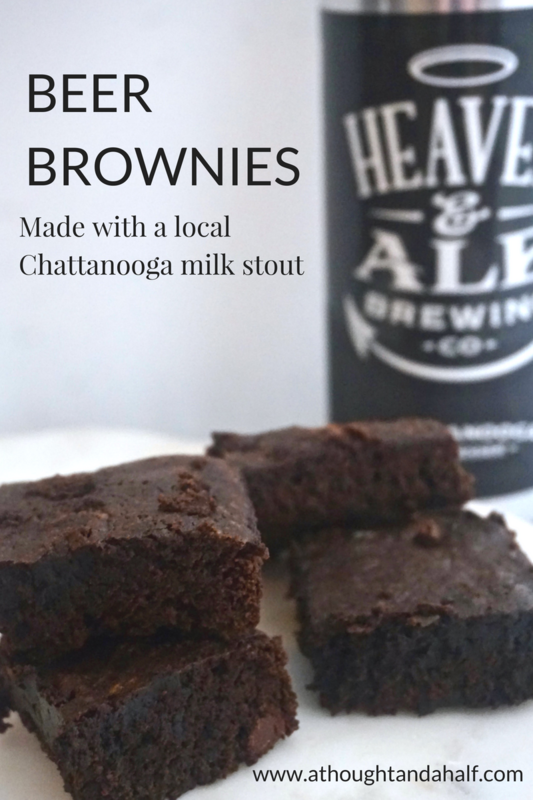 It’s a new way for me to highlight some of my favorite Chattanooga-made products, and it tests my creativity in the kitchen. My first experiment—with some tea from Wildflower Tea Shop—didn’t go quite as planned, but I was inspired enough to keep trying. 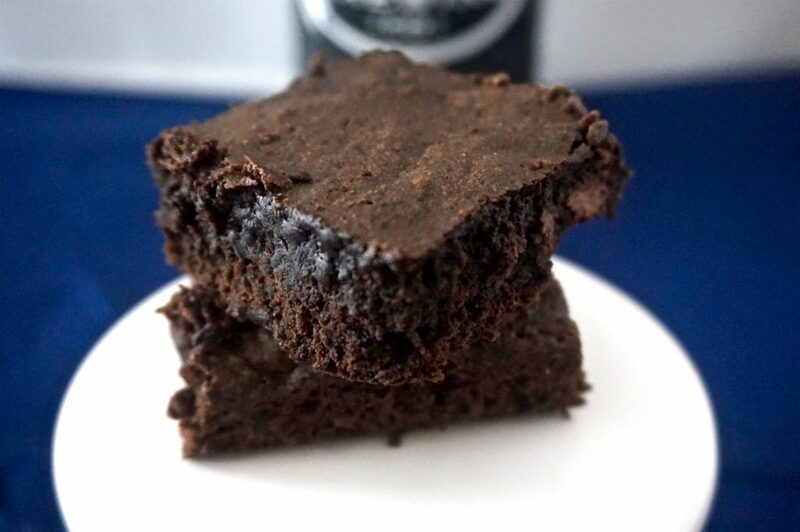 Here’s my recipe for some delicious beer brownies, made with the Love Supreme milk stout from Heaven & Ale Brewing Co.! You can use your favorite milk stout, or porter, or dark beer. A black IPA might even be a good choice. But I think milk stouts work best here. Pour 1 cup of the beer into a small saucepan. Bring to a boil, then reduce heat and cover. Let it simmer until it’s reduced down to 1/2 cup (about 20 minutes). Let it cool. Preheat oven to 350 degrees F. Lightly spray a 9×9-inch baking pan, or line with parchment paper. Set aside. Melt the chocolate in a small bowl and set aside. Add melted butter and sugars to a large mixing bowl and whisk until combined. Add eggs one at a time, whisking after adding each. Add melted chocolate, vanilla and half of the beer reduction and stir until well combined. Sift flour, cocoa powder and salt together over the wet ingredients. Add remaining beer reduction and stir until smooth and well combined. Fold in chocolate chips (if desired). Pour batter into prepared baking pan. Bake for 22-25 minutes, or until a knife or skewer inserted in the middle comes out clean. Remove pan from oven and let cool for 15 minutes before cutting. These are delicious on their own, but serve them warm with a scoop of vanilla ice cream and you may actually experience Heaven on Earth. I’ve also sprinkled coarse sea salt on top right as they’re out of the oven, and that’s great if you like the sweet and salty flavor combination. 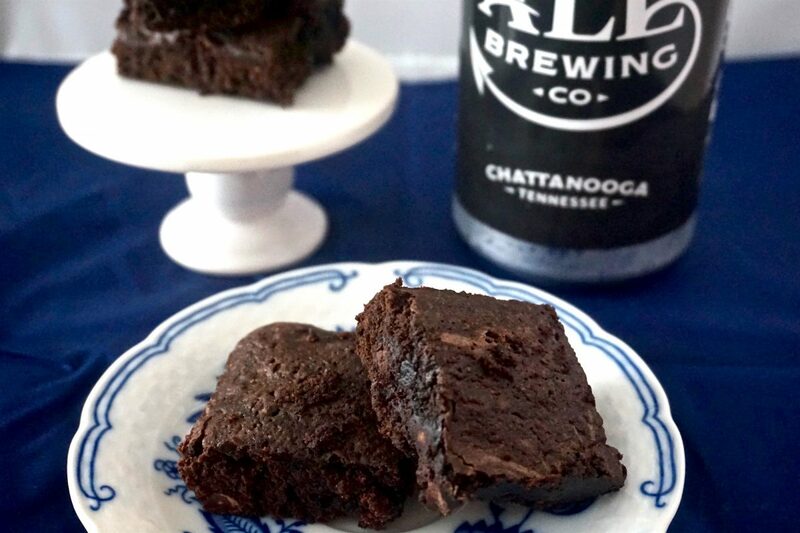 I’ve got some other ideas for recipes that incorporate Chattanooga-made products and I can’t wait to play with those and share them with y’all! Thanks for the growler, Heaven & Ale! Holler at me if you get a craving for these again! What’s your favorite way to kick up a classic recipe?